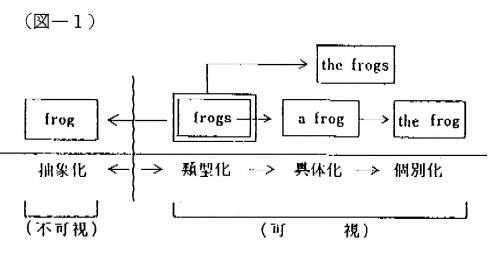 (1) A frog jumped into the old pond. (2) I heard the sound of water. Look at the map on　the wall. Westerners tend to look at life, at the world, as though sitting in a helicopter above it, while the Japanese swim in the actual tlow of events. This gives them great sharpness of intuition and the power to build things, to make things with their hands : everything from a ship to a picture, from a poem to a scientific instrument. The direct relationship between Japanese man and the world gives him his power. Peoples. The Univ. Press of Hawaii, 1974, p.356. The Economic Review, Vo1. 31,No. 2, pp. 177- 179. . Contrasts between Japanese and English"
found myself facing the most enchanting fairy palace." (13)　Peter Milward; ibid., p.12.